During this age the synapses continue to expand and reach about 1,000 trillion – twice the density of the adult brain. (Pruning takes place later to reduce the number). The toddler brain is twice as active as the adult brain. The structures of the brain that are sensitive to language and social-emotional response develop. 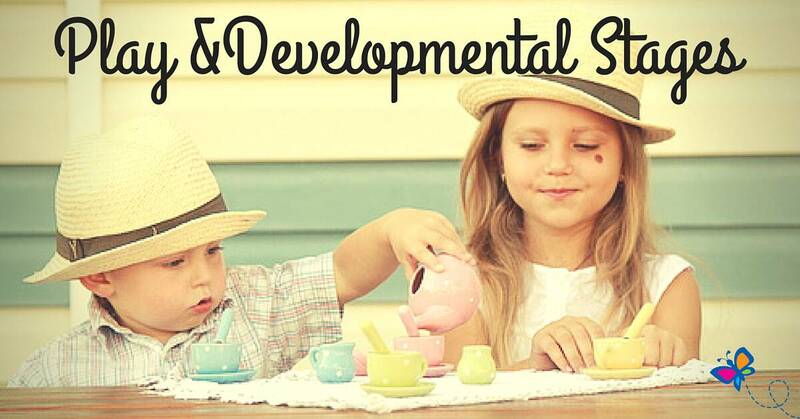 Motor development continues at a rapid pace. Action is the name of the game for toddlers, who delight in running, jumping, climbing and riding. A ride-on toy to zip around on will be a sure-fire hit- whether it’s a low tricycle or a foot-to-floor vehicle in a whimsical bus or car design. Low climbing toys, large balls, and outdoor items like a sandbox or wading pool are also good choices for developing gross motor skills. Take-apart toys, pop-up toys mid simple puzzles gratify toddlers’ curiosity about how things work, reinforcing their eye-hand coordination and understanding of spatial orientation and cause and effect. One of the best possible toys is that time-tested classic, a good block set: it’s just about the most open-ended, mind-expanding toy made for kids of almost all ages and one that will be used for years. Another creative, tactile-pleasing choice is modeling clay. Tambourines, xylophones, drums and other simple musical instruments are satisfying noisemakers. Again, be sure toys are made of nontoxic materials, with no sharp edges or points or small parts that can be removed or broken off and swallowed. This is the fastest growth period for the frontal lobe networks, and speed of processing, memory, and problem solving is increasing. The brain is at 90% of its adult weight by 6 years. Imagination and interaction play starting roles during the preschool years, and the best toys help set the stage for developing these skills. Things that connect with the experiences kids have are the best for dramatic play. Opt for a generic unstructured item rather than the single-function brand name version. Play telephones, kitchen appliances and utensils, tool sets, medical kits. vehicles. dress-up clothes and, of course, baby dolls, as well as toy people and animals all spark the scenarios kids like to construct. Finger or hand puppets offer another way of acting out and mastering day-to-day experiences. Art materials (clay, crayons markets, paints, collage materials) are another creative favorite with most children in this age group. And don’t forget jump ropes, larger tricycles and that always-memorable first bike with training wheels. The synaptic connections in motor and sensory areas are firmly established and the process of elimination synapses (pruning) in these areas has begun. Because of the activity in higher brain “control” centers, children increase in levels of attention and ability to inhibit impulses. By the time they’re in the primary grades, children have gotten the hang of basic dexterity, language, and social skills; now they’re eager to practice and refine them. They like to challenge themselves, intellectually, with puzzles and games that test their growing knowledge or involve strategy (checkers, card games), and physically, with pick-up sticks, jacks, roller skates, pogo sticks, and ball games. There are lots of other imaginative options than can broaden this group’s horizons, from craft sets for making jewelry and puppets to a microscope, nature-study kit, or a printing set. You might also turn the passion for collecting that many children develop at this age into a special link between the two of you: for example, by adding a special doll or action figure or set of stamps. The maturation of the frontal lobe continues in adolescence. (Pruning continues during the stage). The Speed and efficiency of thought increases, spatial working memory improves, emotional regulation becomes greater, planning and problem solving skills increase, and scientific reasoning and ability to understand one’s own thinking develops. Play becomes sophisticated and increasingly symbolic. Play in the preteen years often is a group production, and the pastimes kids prefer reflect that. Many complex head games for several players, and equipment for organized sports or activities (baseball bat and glove, racket/paddle games) is often a hit. Electronic games are also popular, played either on en masse or by competitive turns. At the same time, preteens lavish lots of time and concentration on individual interests, which might include books, music elaborate construction of model- building sets, mature tools, sewing kits and paints. By this age their tastes and skills are pretty well defined, so targeting toy and entertainment purchases to likes and abilities of each child is important.